1. 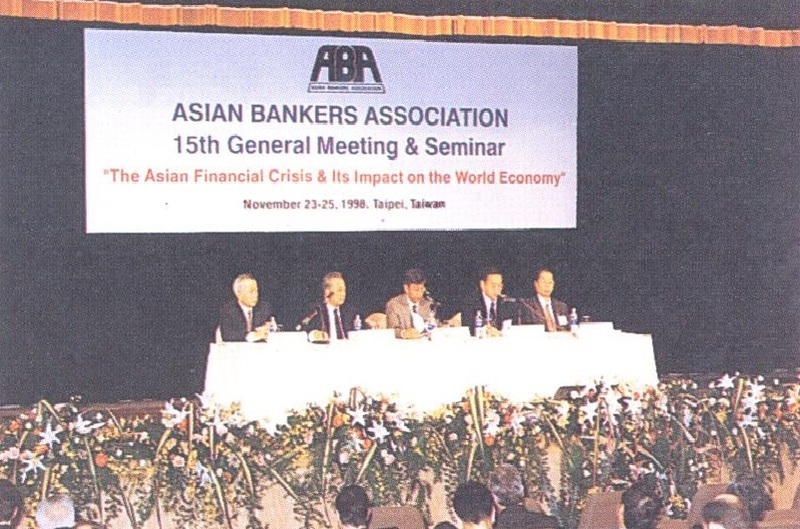 The 15th Annual Meeting and Seminar of the Asian Bankers Association (ABA) was held on 23-25 November 1998 at The Grand Hotel in Taipei, Taiwan. Hosted by the United World Chinese Commercial Bank, the International Commercial Bank of China, the Chinatrust Commercial Bank, and the Bankers Association of the Republic of China, the three-day event was attended by some 130 leading bankers from 24 countries. 2. In conjunction with the 15th Annual Meeting and Seminar, the 25th and the 26th Board of Directors’ Meetings were also held on 23 November and 25 November, respectively. 4. This year ‘s gathering was formally opened by H. E. President Lee Teng-Hui of the Republic of China. In his Inaugural Address, President Lee pointed to the importance of democracy and discipline as the greatest lesson of the financial turmoil. He said that in a free economic system, competition is based on the rule of law and operates with discipline. He called on governments to perfect the regulatory system, implement social justice, and perform its adjucator role well to maintain market order. He also urged on private enterprises to comply with laws and regulations and develop rules of fair market competition. Only then will they be able to pursue sustainable economic development in a free but orderly environment, he said. The full text of President Lee’s Inaugural Address is attached as ANNEX 1. 5. In his Opening Remarks, ABA Vice Chairman Amirsham Aziz called on ABA members to work together with greater commitment, particularly since with the globalization of the financial market, issues facing the banking industry of member countries are no longer confined within their own respective political and geographical boundaries. He also stressed the need for members to make their collaborative efforts complement those of their respective governments. The full text of Mr. Amirsham ‘s Opening Remarks appears as ANNEX 2. 6. Mr. Gregory K. H. Wang, President of the United World Chinese Commercial Bank, one of the host banks, in his Welcome Remarks said that the difficult times brought about by the financial turmoil call for an even greater role on the part of the region ‘s banking sector – and the ABA in particular – in ensuring that the region ‘s financial stability and sustained economic growth will be maintained and continue through the next century. He expressed confidence that the ABA has the right expertise to see through the threats, to evaluate potential solutions and to turn adversities into opportunities. The full text of Mr. Wang’s Welcome Remarks appears as ANNEX 3. 7. On his part, Mr. James T. Lo, Chairman of the Bankers Association of the ROC and Chairman of the Bank of Taiwan, in his Welcome Address said that while the Asian financial crisis has been a big challenge for Asian economies, a greater challenge still lies ahead for many companies in the region – the challenge of developing new visions, of restructuring their respective organization s, and of drawing up new strategies to survive the crisis. He expressed hope that by attending the Seminar, ABA members would be able to develop a plan for moving ahead in this direction. The full text of Mr. Lo’s address is attached as ANNEX 4. 8. In his Keynote Address, ABA Chairman Emeritus Amb. Jeffrey L. S. Koo emphasized the need to bring back investor confidence in the region. The financial turmoil has its roots in a crisis of investor confidence, and it cannot be solved without investor confidence, he said. This has to be a priority if the affected countries are to make headway along the path to recovery. To bring back investor confidence, it is necessary to have three things set in place. One is political stability. Without this, investors will not come. Another is long-term economic stability. We have to remain focused on providing conditions for sustained growth. The third issue is regional stability. We need to contain frictions among countries in the region, to avoid conflict, and to reassert our will to cooperate and collaborate for our common future, Amb. Koo said. The full text of Amb. Koo’s address is attached as ANNEX 5. 9. The seminar speakers included the following: Session 1 – Dr. Vicente B. Valdepeñas, Jr., Monetary Board Member, Bangko Sentral ng Pilipinas; Dr. Wang Heh-Song, Senior Vice-President and Senior Economist, International Commercial Bank of China; and Mr. Richard C. Koo, Chief Economist, Nomura Research Institute. Session 2 – Dr. Erich A. F. Brogl, General Manager, Corporate & Institutions, Dresdner Bank; Mr. Philip Delhaise, President, Thomson BankWatch Asia; and Dr. Rong-I Wu, President, Taiwan Institute of Economic Research. Session 3 – Dr. Pradumna Rana, Senior Economist, Economic Development Resource Center, Asian Development Bank; Dr. Samuel Shieh, Chairman of the Executive Board, Chinatrust Commercial Bank and Former Governor, Central Bank of China; and Mr. Cesar E.A.Virata, Chairman, Rizal Commercial Banking Corporation. 10. The commentators included the following: Session 1 – Mr. A. J. Rao, Chief Executive Officer, State Bank of India; and Dr. Friedrich Wu, Chief Economist, Development Bank of Singapore, Ltd. Session 2 – Mr. Jeff Mitchell, Head of Asia, National Australia Bank, and Mr. M. U. de Silva, Senior Deputy General Manager, Hatton National Bank. Session 3 – Mr. Satoporn Jinachitra, First Executive Vice President, Siam Commercial Bank PCL. 12. The chairmen for the sessions included Mr. Ismail Shahudin, Executive Director, Malaysan Banking Berhad (Session 1); Mr.Azat T. Kourmanaev, President, BashCreditBank (Session 2); and Mr. James C. T. Lo, Chairman, Bank of Taiwan (Session 3). 13. Top-ranking ROC government officials also attended and spoke at some of the social functions of the seminar. 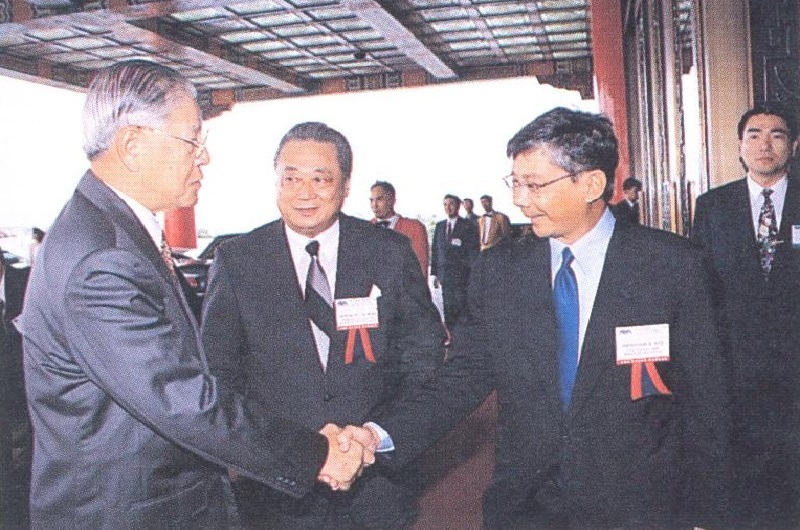 Governor Fai-Nan Perng of the Central Bank of China was the Luncheon Speaker on 24 November 1999. In his speech, Gov. Perng outlined what he said were some of the lessons that can be learned from the Asian financial crisis. These included the following: (a) The best source of capital formation is domestic savings; (b) If domestic saving is insufficient, foreign direct investment is the next best alternative; (c) A sustained current account deficit is undesirable and should be corrected; (d) The nominal exchange rate should be flexible allowing the price mechanism to play an important role in the adjustment process; (e) Banks, importers and exporters should improve their risk management; (f) The capital account should be liberalized in a sequential and orderly manner; and (g) The regulation and supervision of financial institutions should be strengthened. 14. Present at the Gala Dinner was Vice Premier Dr. Chao-Shiuan Liu. Dr. Liu observed that the present crisis was brought about not only by faulty domestic policies and weak financial sectors. It was also brought about by factors that have to do with the volatility of international capital flows. Thus, he said, better domestic policies and strong financial institutions alone are not sufficient to ‘shield a country from the effects of contagion. All of these mean that we must tackle the issues related to the stability of the international monetary system. Thai is why reforms in the global financial architecture have become a matter of great urgency, Dr. Liu said. 15. Finance Minister Paul C. H. Chiu graced the Farewell Lunch on 25 November 1999. Minister Chiu ·cited four principal reasons why Taiwan as been able to successfully weather the current regional upheaval. These include the following: (a) Taiwan’s strong macroeconomic fundamentals; (b) Sound financial supervision through strict regulation of capital adequacy, risk management, the introduction of financial innovation, as well as the composition, size, and conditions related to banking lending ratios; (c) Steady growth of Taiwan’s capital market; and (d) Taiwan’s large holding of foreign exchange reserves a11d its relatively small foreign debt exposure. 16. The full texts of the presentations of the seminar speakers will be published in a future issue of the ABA Journal on Banking and Finance. 17. The 15th ABA General Meeting was held on 25 November 1998. The Meeting was presided over by Vice Chairman Mr. Amirsham Aziz in view of the absence of Chairman Mr. Benjamin Palma Gil. 18. The Chairman ‘s Report was read for Mr. Benjamin Pal1na Gil by Mr. Santiago Cua, Jr., Senior Executive Vice President and Chief Lending Officer of the Philippine National Bank. The Report highlighted the activities of the Association during the two­ year term of Philippine National Bank as ABA Chairman from 1996 to 1998. 19. In the absence of the Election Committee Chairman, Amb. Jeffrey L. S. Koo reported on the results of the canvassing of ballots conducted earlier and presented the names of the 25 banks which obtained the most number of endorsements. The General Meeting unanimously elected the 25 nominees to serve the Board for the period 1998- 2000. 20. The Valedictory Address of the Outgoing Chairman was read by Mr. Cua of PNB. Per resolution passed during the 26th Board Meeting, plaques of appreciation were presented to Mr. Peter B. Favila and Mr. Benjamin Palma Gil, both representing the Chairman bank PNB, in recognition of the important role they played in the development of ABA during the two-year term of PNB. 21. Mr. Amirsham Aziz of Maybank and Mr. Yung-San Lee of the International Commercial Bank of China were formally sworn in by ABA Chairman Emeritus Jeffrey L. S. Koo as Chairman and Vice Chairman, respectively, of ABA for the term 1998-2000. In his Acceptance Speech, Mr. Amirsham called on ABA members to further strengthen the cooperative framework especially with regard to institutional links that will facilitate the exchange of ideas and information and the refining of policy inputs. 22. Two types of awards were presented to deserving members of the ABA Board. The first type was handed out to 15 Board members who have attended at least 10 Board meetings since the Association was established in 1981. The second type was presented to two Board members – Amb. Jeffrey L. S. Koo and Dr. David K. P. Li – for their outstanding contribution to ABA. 23. Plaques of appreciation were presented to the International Commercial Bank of China, the United World Chinese Commercial Bank, the Chinatrust Commercial Bank, and the Bankers Association of the ROC for successfully hosting the 15th General Meeting. 24. 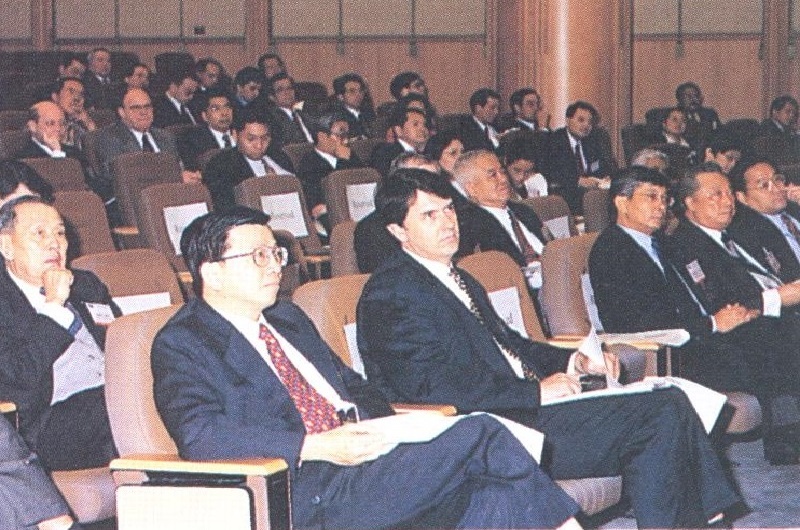 The 25th Board of Directors’ Meeting was held on 23 November 1998 and chaired by Mr. Amirsham Aziz. For purposes of protocol at the Opening Cermeony, the Board agreed to elect Mr. Amirsham into the Chairmanship earlier than the scheduled election. a. 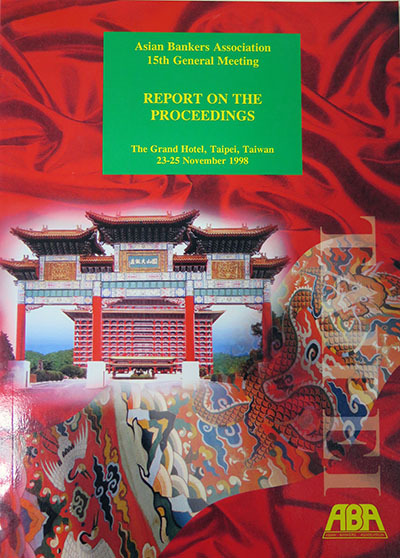 Report of the Secretary-Treasurer – The Meeting noted the activities of ABA during the past two years including, among others, the successful conduct by the Institute of Banking and Finance of the training seminar on ”Managing Turning Points in Asian Economies”, the holding of the ABA Planning Committee Meeting on 26 February 1998 in Taipei primarily to discuss preparations for the 15th General Meeting and Seminar, and ABA’s involvement in the holding of the first Asia-Pacific Bankers Congress in Manila. 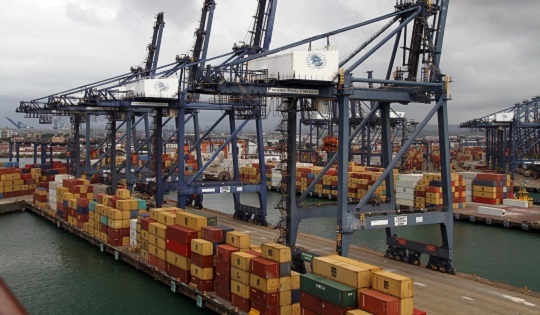 The Meeting also noted the Audited Financial Report covering the years 1997 and 1996, as well as the Tentative Financial Report for the period January 1 to September 30, 1998.
b. Membership – The Board ratified the membership applications of 8 new banks, and agreed to delete from the membership roster the names of 28 withdrawing banks and 11 delinquent banks, thereby reducing the total number of members to 147.
c. New Board Members – The Meeting endorsed the 25 nominated banks recommended by the Election Committee to serve the Board for the period 1998-2000.
d. Asia-Pacific Bankers Congress ’99 – The Board noted the presentation made by an ADFIAP executive on the features of the Asia-Pacific Bankers Congress ’99 to be held on 6-8 April in Manila, and agreed to extend support to this collaborative project between ABA and ADFIAP. ii. 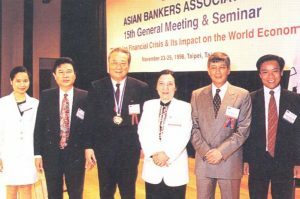 the nomination of the International Commercial Bank of China, represented by its Chairman Dr. Lee Yung-San, as the new Vice­ Chairman of ABA for 1998-2000.
vii. the need to improve and enhance ABA ‘s Professional Development and Information Programs. 26. The 26th Board of Directors’ Meeting was held in the morning of 25 November 1998. The Meeting was chaired by Mr. Amirsham Aziz. a. Election of New Officers – The Board formally elected Mr. Amirsham Aziz of Maybank as Chairman and Dr. Lee Yung-San of the International Commercial Bank of China as Vice Chairman, to serve for the term 1998- 2000.
b. Programme of Work 1998-2000 – The Meeting endorsed in principle the proposed Program me of Work for 1998-2000 as prepared by the ABA Secretariat, and agreed to form a Planning Committee to flesh out details and finalize the said Work Programme with the additional inputs from Board members. 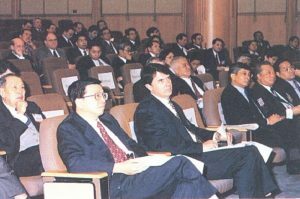 c. Budget for 1999 – The Meeting approved the proposed Budget for 1999.
d. Venue of 16th General Meeting – The Board affirmed the decision made at the 25th Board Meeting to hold the 16th General Meeting and Seminar in Singapore.